In May 2015 Facebook announced a new feature for publishers entitled Facebook Instant Articles. The idea was fairly straightforward, rather than merely posting a link to a story on Facebook, publishers would enable Facebook to host a mobile-friendly version of the story on Facebook’s servers allowing it to load instantly after being clicked by users of the Facebook app. When Facebook announced it, the tool was limited to a small collection of major publishers. Though the list has since grown, it has remained an invite-only affair. However, in February of this year, Facebook announced that it would be opening up Instant Articles to all publishers, regardless of size. The event would take place as part of Facebook’s F8 Conference for developers. Then, just a few days ago, Facebook announced that it was working with Automattic, the company that owns WordPres.com, to create a WordPress plugin to enable users to easily implement Instant Articles on their site. Between these last two announcements, a lot of publishers, bloggers and authors are going to begin considering whether to add Instant Articles to their site. However, there seems to be no consensus as to whether or not Instant Articles is a boon or an impending disaster for online publishers. Facebook’s case for Instant Articles is fairly straightforward: They’re better for readers on mobile devices. Simply put, Instant Articles are able to load much faster (hence the name “Instant Articles”) than external links and they are formatted in a way that’s ideal for mobile users including large images, easy-to-read text and mobile-friendly video. Instant Articles also include a series of features not easily available elsewhere including images that can be panned by tilting a phone, interactive maps and more. Facebook also says that publishers will be able to have control over their content including customizing to fit their look, selling ads and adding any analytics tools that you wish. However, Facebook’s new feature is not an altruistic attempt to bring together mobile users and publishers. Facebook itself gets a great deal of benefit from Instant Articles and some of that benefit could come at the expense of webmasters. The biggest advantage for Facebook out of Instant Articles is that users will not leave the site (or rather, the mobile app) in order to read the publisher’s content. Since the content is now hosted on Facebook’s servers, Facebook can better track users and they have more control over the content. That lack of control does mean a loss of publishers. The biggest concern is that Instant Articles could be a step to Facebook creating a walled garden filled with content from outside publishers. They can do this not only by offering the tool, but by showing preference to Instant Articles in its algorithm. This means that sites that don’t use Instant Articles will get even fewer views or shares than they do now, while those that do will get a boost. While this might sound outlandish, it’s already happened once before with Facebook, specifically Facebook video. There, Facebook showed clear preference to videos uploaded directly to their service over links posted to sites like YouTube. The result was mass piracy of YouTube videos, sometimes referred to as “freebooting”. While it’s unclear if this could or will happen with Instant Articles, it’s not difficult to imagine. Spammers and Facebook pages, sensing that Facebook will show preference to an Instant Article version of a story, could copy or scrape content from other sites and repackage them using Instant Articles to get more clicks, views and shares. In short, a problem that has proved very vexing and frustrating for YouTubers could soon be coming to other websites and publishers, especially if Facebook is unprepared for others to abuse this tool. This is something webmasters will have to closely watch over the coming months to see what, if any, changes happen when it comes to scraping and spam blogging. But regardless of if and how it is abused, the question remains, should you use them on your site? 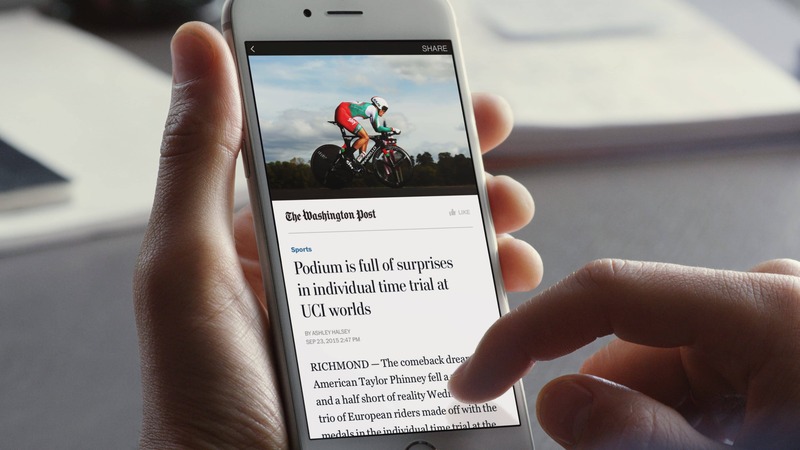 Should You Enable Facebook Instant Articles? There’s no easy answer to whether or not you should use Facebook Instant Articles on your site. The benefits are obvious and include a better mobile experience for Facebook users, improved sharing and, most likely, preferential treatment from Facebook’s algorithm. On the downside, you risk losing some of the traffic to your site (including possible ad revenue if Facebook’s approach is less lucrative) and there are serious search engine optimization (SEO) risks depending on Facebook implements the tool moving forward. Currently, as just a feature within Facebook’s mobile apps, the risk is fairly low as search engines can’t see what’s going on inside such walled gardens. But if Instant Articles are ever broadened to the web versions, it could pose a serious risk of creating duplicate content if Facebook isn’t careful. The biggest risk, however, is the surrendering of control. Wth the content no longer on your server, Facebook a lot more power over if and how it is displayed. Even if you like Facebook Instant Articles as it exists today, tomorrow could bring serious changes that could seriously hurt you and you would be limited in what you can do about it. In the end, your site is a home that you own. Facebook Instant Articles are a home that you rent. It’s up to you to decide if the risk is worthwhile. Really quickly, I looked at a semi-random selection of the publishers featured on Facebook’s original Instant Articles announced to see if and how they are using the service today, 10 months later. To do this, I looked at the first 10 self-links on each of the publishers Facebook pages to see which, if any, loaded as an Instant Article. The Guardian: Looking at he Guardian is still using Instant Articles but not on every post. Though the majority of the links were Instant Articles, two of the ten were simple web links. NBC News: Out of the first ten links, all but one were Instant Articles. The Atlantic: As with The Guardian, 8 out of the 10 articles were Instant Articles when I checked. What this means is that, of the five I looked at, two had not used Facebook Instant Articles at all in their last 10 posts. While the other three were making heavy use of them, they were not doing so consistently. Whether the content withholding was intentional or not is unclear, but no site had all of its first 10 articles be served as Instant Articles. I’m not sure what to make of this. Of the 50 articles checked, exactly half (25) were Instant Articles. While most publishers seem to still be using them, their inconsistent usage is hardly a ringing endorsement. This once again shows just how complicated and nuanced this new tool is. When Instant Articles becomes available to all publishers, I will be experimenting with it. However, that experiment will not be an endorsement or even a recommendation, instead, it will be a chance for me to gather data and better understand the impact it has. That’s because, as tools like Facebook Instant Articles come along, I typically use my own content as an experiment to see what happens when I do. Sometimes the experiments work, sometimes they don’t. Either way though, I’m most comfortable putting my own content on the line before making recommendations. That being said, when April 12th comes around, a lot of publishers and authors will have a tough decision to make and will either be unable or unwilling to wait and see what the fallout is. To that end, I just encourage creators to carefully weigh the potential benefits and drawbacks to see if Facebook Instant Articles is right for you. If you’re highly dependent on ad revenue or strongly desire total control over your content, I, personally, would wait. If you’re already sharing your content freely, there probably isn’t much harm in giving it a try. Either way though, it’s important to make the decision that’s right for you and not let the actions of others, even giant publishers, push you down a path that harms you. I don’t see the advantage to using them. FB certainly shows “posts” more often if you post directly rather than link away. Anything that takes you away from FB isn’t shown as much and will generally receive less comments/shares and the like. Articles may or may not lead to a mobile friendly site. From my testing, people simply don’t click on an article that goes elsewhere nearly as often as they will hit “more” and comment on a article already on FB. They went to FB and tend to stay there browsing. Now, as for posting such a thing ON my blog, I don’t see a real advantage IF my blog is already mobile friendly (it is, although it may not be as fast as instant, esp when I have pictures). My guess is it’s just another way for FB to get more data or drive more traffic to their own site. I don’t see the benefit to me.